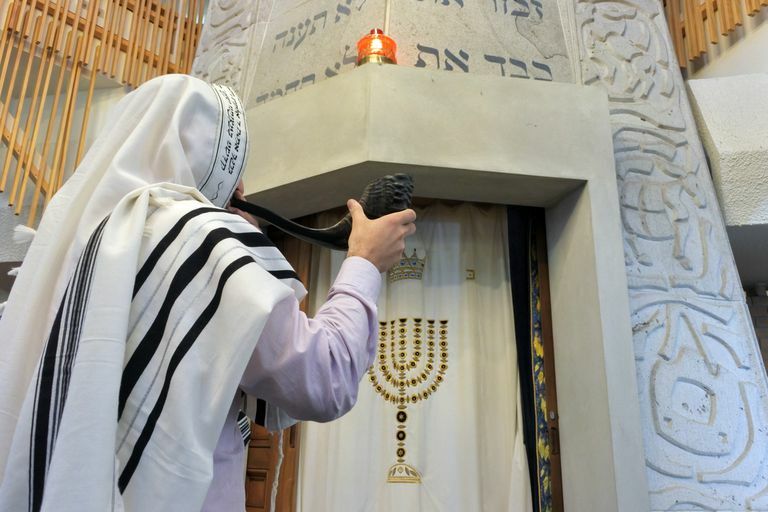 Why Are There Four Jewish New Year's Celebrations? The Jewish calendar traditionally has four different days dedicated to the new year, each with a different purpose. While this may seem strange at first glance, it is not so different when you consider that the modern American calendar may have a traditional New Year (the first of January), a different start to the fiscal or budget year for businesses, yet another new year for the Government's fiscal year (in October), and another day that marks the start of the public school year (in September). The first new year's day is the first day of the Hebrew month of Nisan, usually in the early spring (April). Nisan is considered the first month of the Hebrew calendar, though years are counted from the first day of Tishrei, the seventh month. The First of Nisan was considered the new year for counting the years of the reigns of kings in ancient Israel. It is also the new year for ordering the Jewish holidays. The month of Nisan is closely tied with the festival of Passover; and while Rosh Hashanah is seen as the anniversary of the creation of the world, the first day of Nisan is seen as the anniversary of the founding of the Jewish people when they escaped from Egypt during the Passover story. The second new year's day is on the first day of Elul, the sixth month of the Hebrew calendar, which usually falls in the late summer (August). According to the Mishnah, this was the new year for animal tithes. It was used to determine the start date for the animal tithe to the priestly class in ancient Israel, similar to how we use April 15th in the U.S. as tax day. Generally, this new year's day is no longer observed, although the month of Elul does mark the beginning of preparations for Rosh Hashanah. Rosh Hashanah is the Jewish new year with which we are most familiar. It falls on the first day of Tishrei, the seventh month of the Hebrew calendar, which usually corresponds to the month of September. It marks the day when the Jewish calendar year advances and is seen traditionally as the date when the world was created. In ancient times, it was also used for calculating certain tithes, such as those for vegetables, and for calculating the start of Sabbatical and Jubilee years when land was left fallow. Tu B'Shvat is considered the new year's day for trees, usually falling between January and February. According to the Torah, fruits cannot be consumed from trees less than three years old, and Tu B'Shvat was used as the starting date for determining the age of the trees. Unlike the first of Nisan and the first of Elul, Tu B'Shvat is still widely observed as a minor Jewish holiday. The main textual origin for the four new year's days comes from the Mishnah in Rosh Hashanah 1:1. There are references to several of these new year's days in the Torah, as well. The new year on the first of Nisan is mentioned in both Exodus 12:2 and Deuteronomy 16:1. Rosh Hashanah on the first day of Tishrei is described in Numbers 29:1-2 and Leviticus 23:24-25. John Kerry: Irish Catholic or Czech Jew? What Are the Months in the Jewish Calendar?